We knew this was coming for months and we even spotted early screen shots of it in the wild. 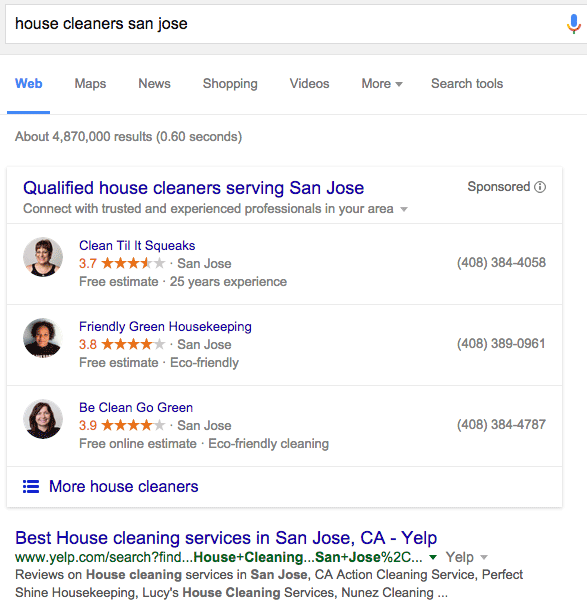 Now, you can see it yourself for searches such as [house cleaners san jose] and you can even give it a whirl. You can learn more about it as an advertiser over here. The big question, will home service providers sign up for it and use it? Local SEO experts are asking if it is worth their time. Of course, experimenting is fun. There is a thread at the Local Search Forums about that as well. What do you think? Will it succeed? Forum discussion at Google+ and Local Search Forums.